Welcome to NTT, friends! This week has been a crazy one. If you've ever worked with kids, you will know what I mean when I say that April Fool's Day is not my favorite day. A few pranks are fun, but with 5th graders, it can get excessive. Ah well, at least it only comes around once a year! I have managed to put the backing together for my latest quilt, but have progressed no further. This is baseball season after all, and is just the time of year when I feel like my quilting happens in slow motion. I'm thinking that the three day weekend might just afford me the time to finish it up. So, we'll get right to last week's amazing party features! 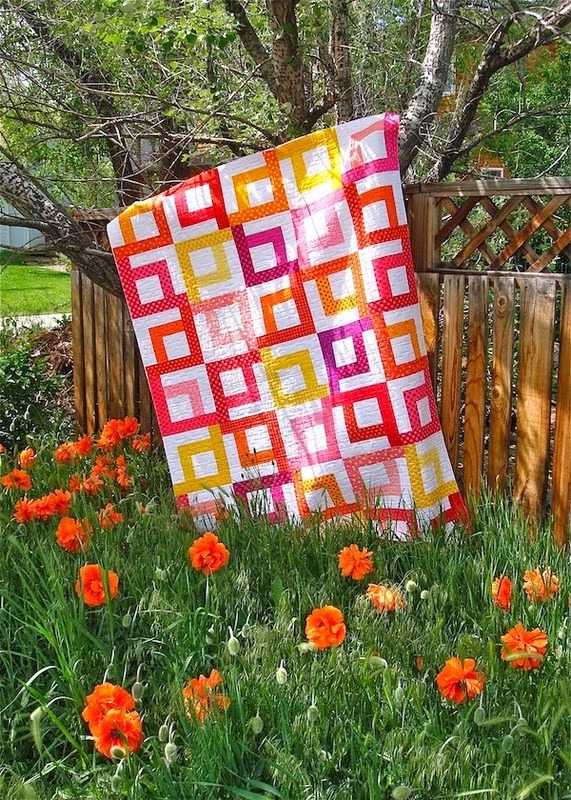 Anne at Springleaf Studios linked up this bright, fresh beauty, and since the photo cropper cut much of the quilt out of the thumbnail last week, I wanted to be sure that everyone got to ogle it. Maryse Makes Things showed off her gorgeous clamshell top. Amazing! 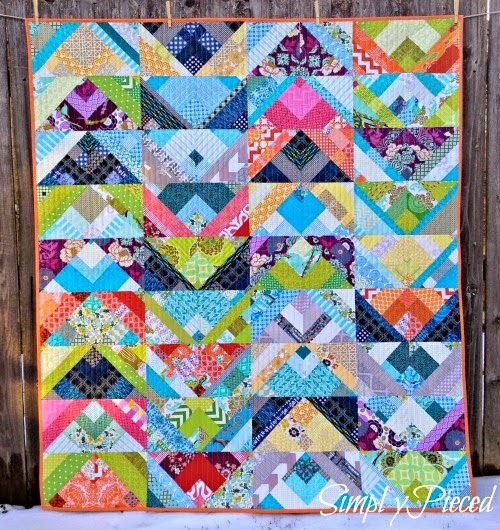 and this scrappy masterpiece from Janet at Simply Pieced is a stunner. Believe me. I saw this quilt at our last guild meeting, and it is even better in person. Edited- I just realized that I owe you a winner from the mini charm and pattern giveaway! 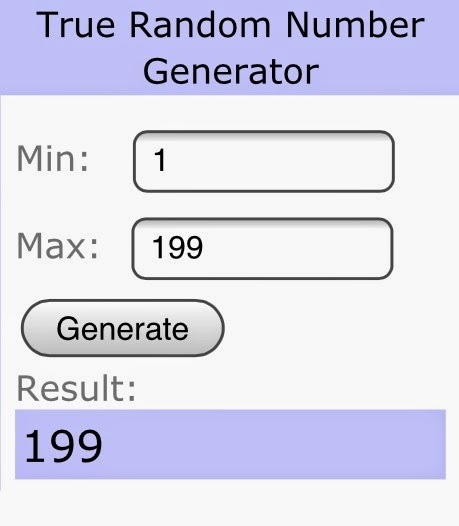 Out of 199 comments, the lucky winner was number 199! Congrats and I'll be contacting you by email soon! Okay. NOW it's time to party! I can't wait to see what awesome inspiration you bring this week! 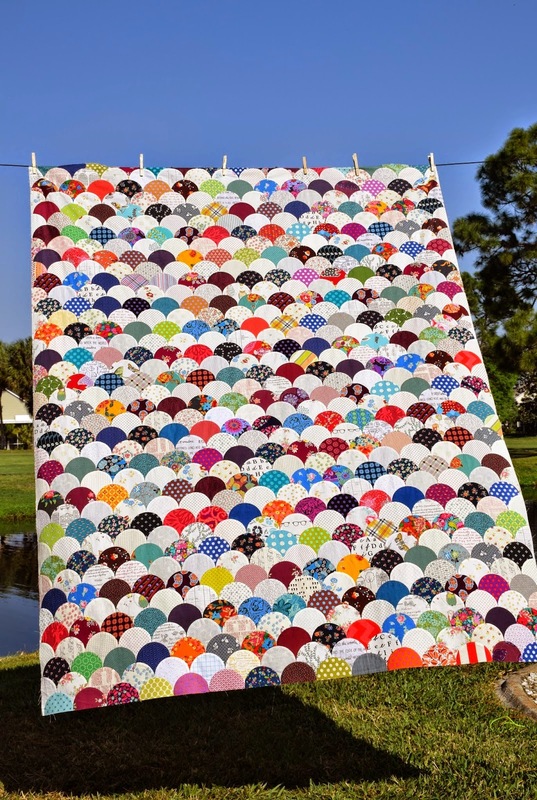 I'm thrilled to see my quilt up there this week, thanks! Kelly, thank you so much for featuring my quilt. I'm thrilled you felt it worthy. It's always fun to see what others are doing through NTT. Thanks for being such a good host. Enjoy baseball season too. I remember the days of soccer and softball occupying all of my weekend time plus weekday practices. Ha! I feel for you on the April Fool's front. I could clobber whoever taught my six-year-old about it! Gorgeous picks this week! I love Anne's bright sunny colors.